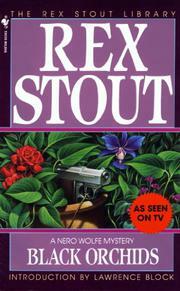 Black Orchids and Cordially Invited To Meet Death provide two mysteries unpredictably broken by Archie Goodwin's pet annoyance of a boss, Nero Wolfe. The first tells how Nero got the rare plants when a murder occurred at the flower show, the second how he used the flowers in an anonymous letter case leading to murder. Entertaining.